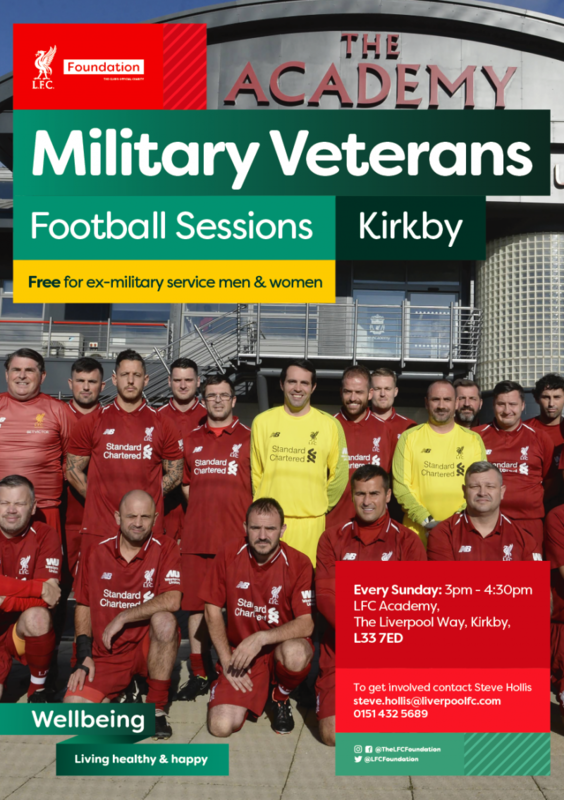 The LFC Foundation’s Military Veterans project aims to support and re-engage ex-military service men and women back into civilian life through the power of football. 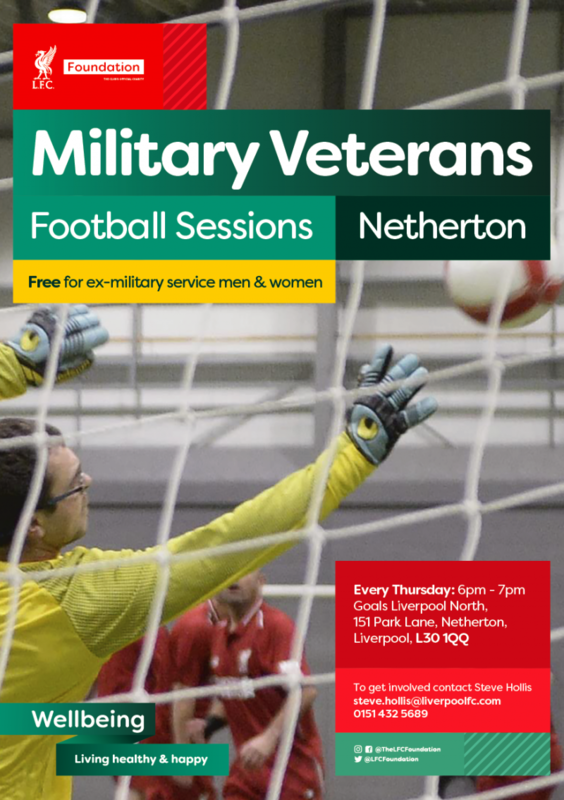 Through the provision of weekly football sessions at both the Liverpool FC Academy and Netherton Goals, and national football tournaments, the LFC Foundation seek to recapture the ‘spirit of service’ and comradeship that is so powerful amongst ex-military personnel and often lost on their return from service. The LFC Foundation’s Military Vets’ free football sessions give our participants the chance to increase their physical activity and exercise levels, whilst improving their mental wellbeing through the formation of new friendships with like-minded people, open communication and encouragement from coaches and other participants. In addition, we aim to help to rebuild confidence levels of our participants that may have been negatively impacted upon their return to civilian life. Our Veterans project is free for ex-military service men and women, catering to all levels of abilities and ages. Please note, to become an LFC Foundation participant and be available to attend sessions, we do require an initial pre-registration process with Project Lead Steve Hollis. This includes providing proof of your Military Veteran Service Number. Alongside the training, there is also access to health, educational, employment and volunteering opportunities, with chances for participants to take their FA Coaching badges. So far through the programme, over 20 ex-military have achieved qualification such as; FA Coaching Level 1 & 2 Badges, Referee Level 1 and nationally recognised mentoring certificates. Since 2013, the LFC Foundation Military Vets have provided weekly football sessions in HMP Altcourse to ex-military personnel inmates.